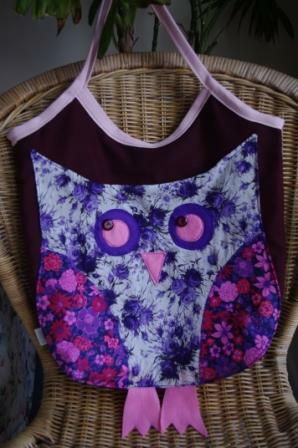 An owl tote bag to match a recently made owl cushion. The owl feature doubles as a pocket on the front of the bag and there is an internal zippered pocket. Combination of new and vintage fabrics.